Stephen has experienced the field of education from three distinct perspectives: as a teacher in the New York City Public School system, an instructor designing curriculum and professional development programs at the American Museum of Natural History, and a national consultant for STEM Education and curriculum reform. These three vantage points have given him a unique sense of how schools and informal learning institutions interplay. He has worked with teachers around the United States, United Kingdom, and Southeast Asia and serves as a member of various advisory committees -- including the STEM Nobelist Mindset Program, a partnership with the New York Academy of Sciences and the Universiti Kebangsaan Malaysia. His work often involves bringing scientists and teachers together in professional development settings. Stephen once joined a press trip to the Peruvian Amazon with a UK-based environmental charity, moonlighting as a journalist, and left the experience with a renewed sense of how education can play a role in addressing climate change. He founded the NGO’s Cool Earth Teacher Fellowship -- a program that supports the professional development of teachers through expeditionary learning experiences in the Amazon Rainforest -- and serves on Cool Earth's Board of U.S. Trustees. Kerry received her doctorate in English education from Teachers College, Columbia University where she was a full-time instructor in the Teaching of English M.A. program. During that time, she developed courses that explored, among other things, curriculum planning and assessment design, effective instructional practices, the teaching of writing in the secondary classroom, and ways to engage students in reading and analyzing Young Adult literature. Kerry's career in education began as a middle and high school English teacher, first in the Philippines and then in NYC public schools. As a curriculum consultant and literacy coach, she has worked for the National Academy for Excellent Teaching and the Center for the Professional Education of Teachers -- both at Teachers College -- supporting teachers in public schools in and around New York City. Kerry's interests -- as a classroom teacher and consultant -- often focus on designing inquiry-driven, project-based curricula and engaging students in exploring genres and writing for authentic audiences. Kerry used oral history to teach literature in a middle school English classroom, as a yearlong intergenerational project in a small high school in the Bronx section of New York City, and with student-inmates on Rikers Island. She is the author of Project Notes: Conducting Oral History in the Secondary Classroom. Dr. Gerald Ardito has been working in Education for almost three decades. His experience includes adult education, adolescent Biology, and most recently higher education. He is the Assistant Chair and Assistant Professor of STEM-D Education at Pace University's School of Education. His research interests include the development of self-directed, technology-enhanced learning environments. Dr. Brian R. Evans is a tenured professor of mathematics education and the Assistant Provost for Experiential Learning at Pace University in New York. He has been on the faculty at Pace University since 2007. Dr. Evans teaches undergraduate and graduate courses in mathematics education to in-service and pre-service teachers. He has given numerous teacher professional development workshops and has conducted embedded professional development. Dr. Evans has over 50 publications, and he is currently the managing editor for the peer-reviewed Journal of the National Association for Alternative Certification. Dr. Evans’ book, published by Wiley, is The Development of Mathematics throughout the Centuries: A Brief History in a Cultural Context. Rob Menken taught social studies and English. He founded two schools, the second of which, The New York City Lab School for Collaborative Studies, he served as principal for twenty years. His many years of experience provided him ample opportunity to develop skills in the areas of developing leadership capacity, collaborative teaming, and instructional focus. Menken feels most strongly about helping principals come to the realization that quality instruction is the goal; test scores will follow that achievement. 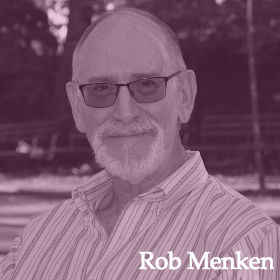 Coaching work in Louisiana and Detroit, as well as in multiple schools in New York City, have provided Menken with multiple perspectives on how to be sensitive to schools’ and leaders’ needs. 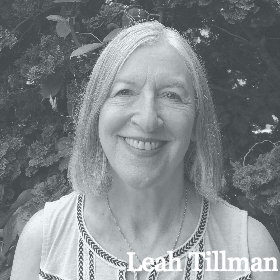 Dr. Leah Tillman began her career with the NYC Department of Education as a Lab Specialist in a middle school and twenty years of teaching biology at the high school level. For almost ten years, she worked at Walton High School as the Assistant Principal, supervising a large science department. Leah’s NYCDOE tenure culminated in becoming a middle school principal for the now defunct Chancellors District where she utilized best instructional practices in two “failing” schools. All of her experiences have been working with Bronx teachers and inner-city students to make learning accessible. After retirement, Leah continued her educational endeavors through several partnerships that Fordham University had with the NYCDOE. She looks forward to continuing working with science teachers in their own classrooms. Sheila Breslaw has been a school coach since 2006. She was an English teacher, reading teacher and the founding and co-principal of New York City Lab School for Collaborative Studies, where she led for 20 years. Breslaw also worked with new and upcoming principals in both new and already established schools during her time with the Office of New Schools in New York City’s Department of Education. Breslaw’s areas of expertise include developing school leadership, curricula and pedagogy. Having coached in Baton Rouge, Point Coupee, Detroit, and New York’s five boroughs has provided Breslaw with a variety of approaches to draw from. Audrey has been a math teacher in New York City Public Schools since 2003. She began as a founding math teacher at Bushwick School for Social Justice, an ISA school. Audrey then taught at East Side Community High School for nine years, where she honed her problem-solving based approach to high-level math. She has also served as a curriculum writer for CanFigureIt (a geometry software) and The Billion Oyster Project (a middle school place-based science and data analysis curriculum). She is currently working as a math coach for the Institute for StudentAchievement. She is also a PhD candidate in Math Education at Teachers College. 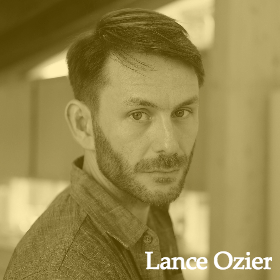 Dr. Lance Ozier has worked and taught at the elementary, middle and secondary education levels. Having also spent 15 seasons in the Catskill Mountains of upstate New York at Morry’s Camp, he serves on the American Camp Association's 5-year impact study task-force on camp as an out-of-school time context that prepares youth for college, career, and life-long success. From 2012-2017, Lance was the Senior Literacy Specialist at the Institute for Student Achievement in the research division of the ETS. His work at ISA included supporting teachers and school leaders with inquiry-based Common Core literacy curriculum, as well as leading a Carnegie Corporation of NY pilot program to include growth mindsets and non cognitive skills in the academic core. While completing his doctoral studies at Columbia University, Lance was on the English Education faculty of Teachers College. Currently he is Assistant Adjunct Professor of English Education at CCNY, and a founding instructor in the Bank Street College of Education's Summer Camp and Afterschool Leadership Certificate. Josh Cabat is currently serving as Chair of English for the Roslyn (NY) Public Schools. For the preceding decade, he taught English and Film Studies at Roslyn High School in Roslyn, New York. Previously, he taught in the New York City public high schools for over a decade. He is a founding member of both the Folger Shakespeare Library National Teacher Corps and the Brooklyn Academy of Music’s Education Advisory Panel, and for nine years was the Teaching Artist for the Young Film Critics program at BAM. In addition he is currently serving on the Secondary Steering Committee of the National Council of Teachers of English. He was the co-founder of the New York City Student Shakespeare Festival, and has been awarded three fellowships by the National Endowment for the Humanities. He has been a featured speaker at several national conferences, and has published many articles on Shakespeare and Film in publications such as the English Journal. He earned an MA from the University of Chicago and a BA from Columbia University. Kiah Johnson is a Master's student at Teachers College, Columbia University and is studying developmental psychology with a focus in children's media. In addition to her current studies, she holds a B.A. in English and Political Science from Tulane University and a M.Ed. in Elementary Education from Delta State University. Before coming to New York, Kiah lived in Atlanta, Georgia; New Orleans, Louisiana; Clarksdale, Mississippi; Accra, Ghana; and Washington, DC, and has used her skills as an educator and professional development coach to make a unique contribution to each setting. Kiah’s areas of expertise include curriculum development, data analysis, unit and lesson planning, literacy strategies, classroom culture, character development, differentiation, and culturally-relevant pedagogy. Dr. Laura Rigolosi has taught English at the middle school, high school, college and graduate school level and continues to find joy in teaching and learning! She began her teaching career nearly twenty years ago, and is passionate about finding ways to help students access texts at all levels. She has facilitated workshops nationwide on content- area literacy, and approaches to teaching reading and writing to heterogeneously-grouped secondary students. Laura loves working with schools on how to increase student participation and engagement, and looks forward to continuing her work this year! Dr. Sarah Creider is a Visiting Assistant Professor of Multilingual Multicultural Studies at New York University. She received an EdD in Applied Linguistics from Teachers College, Columbia University. Sarah specializes in preparing teachers for multilingual classrooms in urban settings and has supervised pre- and in-service ESL and bilingual teachers at NYU, Teachers College, and Hunter College. Sarah is particularly interested in developing teacher skills for content-based language instruction, working with SIFE students, teacher-student interaction in multilingual settings, and teaching in multi-level classes. She also offers courses and coaching in second-language pedagogy for adult students with limited first language literacy. As a researcher, Sarah uses conversation analysis to look at talk, gesture, and body position in educational environments, asking how close analyses of interaction can inform teachers’ moment-by-moment choices in the complex world of a classroom. Dr. Tom Liam Lynch is Assistant Professor of Educational Technology at Pace University in Manhattan. A former English teacher and school district official for the New York City Department of Education, Tom led the implementation of a $50M online/blended learning program in over 100 schools called iLearnNYC. He also designed and guided the initial implementation of WeTeachNYC, a digital resource repository and learning environment for the city’s 80,000 teachers. Tom’s research sits at the intersection of software theory and English education. Currently, he is examining the relationship between K-12 computer science and literacy. His book The Hidden Role of Software in Educational Research: Policy to Practice was released by Routledge in 2015. Other publications appear in leading academic journals, including Berkeley Review of Education, Research in the Teaching of English, Journal of Adolescent and Adult Literacy, English Journal, and Changing English. Keri Scriva has worked in mathematics education for over twenty years. She is currently a math coach at several schools throughout New York City. Keri has a B.A. in Mathematics and M.S. in Mathematics Education from Hofstra University. She taught math and science for thirteen years at Landmark High School in Manhattan where she also assumed roles in advisory and academic intervention support in addition to serving as a team leader and mentor. In 2012, Keri became an instructional coach. She is passionate about connecting teachers and students to real life mathematical experiences, creating engaging classrooms focused on meaningful discussions, and coaching teachers to support their growth.